Blackjack is one of the most popular card games on the planet. For over 400 years individuals have tried their luck at a game of 21, hoping to take advantage of the game’s favorable odds to walk away a winner. 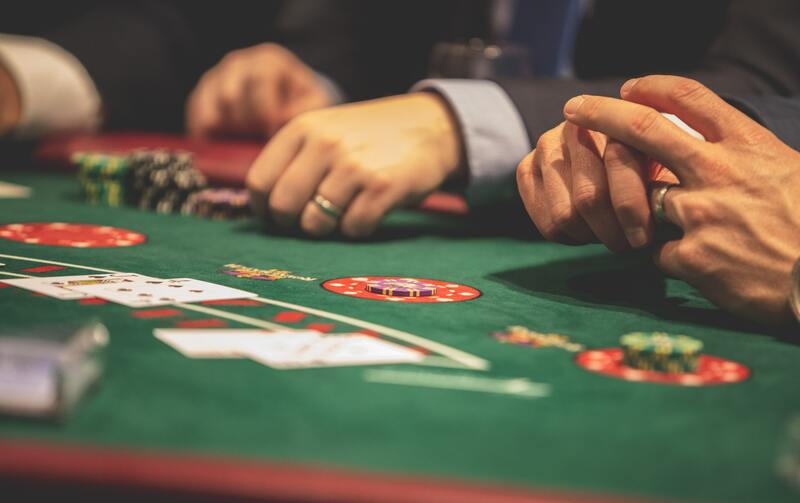 Blackjack only offers the house a minuscule 0.5% edge, so if you learn some of the basic strategies of the game it is one of the best bets you can find at a casino. Read on to learn how to play blackjack, and come to Golden Acorn Casino in Southern California to try out your newly learned expertise. To learn more, give us a call at (619) 938-6000. What Is the Goal of Blackjack? If you asked a novice the goal of Blackjack, they might reply “get as close to 21 as possible”. They would be wrong, as the goal of the game is to simply beat the dealer. You can have a 12 or a 21, but as long as you beat the dealer that is all that matters. How Do I Get Dealt Cards in Blackjack? In order to get your cards in Blackjack, you need to bet. Each table will have a set minimum, and in order to get two cards you must put down at least the minimum bet. In most cases, you will then be dealt two cards, and the dealer will deal themselves two cards, one of which will be face-up. When you hit in Blackjack, you are asking the dealer to give you another card. You may hit as many times as you like, but be mindful that you do not want to go over 21. When you stand, you are telling the dealer you are happy with the cards you have been dealt and do not want any additional cards. Once you stand, you have no further moves to make. When you double down you get to bet again, doubling your initial wager. In exchange, the dealer will hand you only one more card, regardless of the outcome. After getting your third card, you cannot hit again and have to hold. You can only split your card if you have two of the same cards (for example, two Aces). After splitting the cards, you will bet the same amount you did to start the round and play your cards as two separate hands. You can hit as many times as you like with these two hands. What Happens After My Turn Is Over? After your turn is over, the dealer will play their hand. The dealer will continue to hit until they have a 17 or higher, then they are forced to stand. If you have a higher card than the dealer or the dealer busts, you win! If you have the same card as the dealer, you “push” and get your initial bet back in full. Now that you know the basics of the game, you are ready to try your hand at Blackjack at Golden Acorn Casino! Blackjack may be easy to learn, but it is difficult to master. There is a slew of very complicated strategies that you can employ in order to maximize your chance of winning. If it is your first time playing, make sure to tell the dealer and they will help you make the right choice! Blackjack dealers at Golden Acorn Casino want you to win, and they will give you sound advice to give you the very best odds. To learn more about Golden Acorn Casino and our Blackjack rules, contact us today by calling (619) 938-6000.